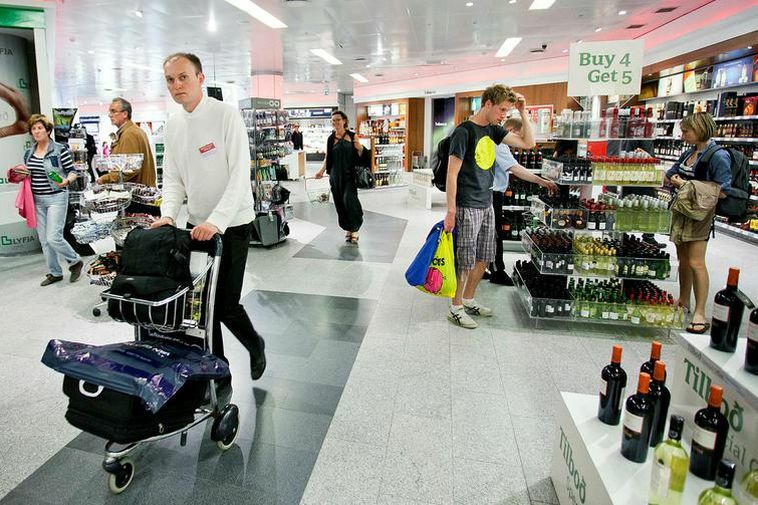 Varieties of Christmas beer are 22-55% cheaper at the arrivals duty-free shop at Iceland’s main international airport than in alcohol outlets around the country, it has been revealed. The cheapest Christmas beer on sale at Keflavík International Airport (KEF) is Föroya jólabruggið, a six-pack of which will cost arriving passengers ISK 1,499 (approx. €12) – as compared to ISK 1,926 once outside airport. At the other end of the scale, the most expensive beer on sale at KEF is Gilja­gaur, at ISK 2,999 (approx. €25) for a six-pack, as compared to ISK 4,662 in State-run alcohol stores – over 50% more expensive. Under new customs allowance rules, passengers can now buy eighteen litres of beer at arrivals duty-free to bring into the country. This information come from Icelandic travel and tourism news website Turisti (link in Icelandic).